It might surprise you to hear this, but believe it or not, fashion editors can experience trend fatigue. It's a commonly under-diagnosed condition, particularly amongst the style elite, mostly due to the fact that we love to shop. However, once in a while (usually at the end of each season), it's not uncommon to experience a general malaise when scrolling through Instagram or a slight eye twitch when browsing Zara's new-in section. If this is sounding all too familiar, we prescribe a good dose of timeless style, and by that, we mean pieces that exist in a different realm to the fluctuating seasonal fashions. With spring around the corner, it's only a matter of time before our feeds are awash with new dresses—each one clamouring for our attention. So in the interest of your (and our) sanity, we've handpicked five classic dress styles that will never go out of style. Coming in at a range of price points, these antidote dresses (unofficial term) are flattering and chic, and primed to slot into your spring capsule wardrobe. They're also the sort of pieces that can easily be adapted for any occasion. Just look at Rixo's Martha dress, which would look just as good paired with tan sandals and raffia bag as it would with strappy heels and a clutch bag. Therein lies the power of the timeless dress. So if you're in need of a little new-season trend downtime, scroll down and see our timeless edit. 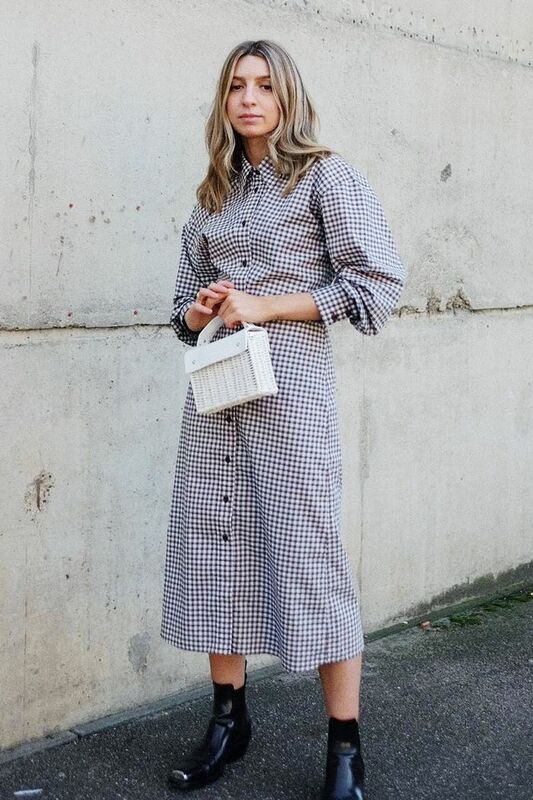 A shirtdress is just what we need for this sunny-but-cool spring weather. Make like Brittany and style yours with cowboy boots and a wicker bag, or for a smarter look, try layering over tailored trousers and heeled boots. You can't do a timeless dress roundup without including the LBD. Coming in all shapes and sizes, this is a style you can really make your own. To kick this look into 2019, we recommend adding low-denier black tights and patent Mary Janes. The Kate Moss circa 2005 fave is still making its presence felt in the fashion world right now—in no small part thanks to Rixo's viral dress designs. This season, it's all about loose fitting, floaty floral styles that finish at the knee. A fit-and-flare dress might not seem like an obvious choice to some, but it's actually one of the most flattering styles out there. Nipping you in at your smallest part and flaring over the hips, it's a bit of a no-brainer. For 2019, the fit-and-flare mini is making a comeback, and we particularly love long-sleeved iterations like the below Stella McCartney look. There are so many wrap dresses on the high street right now, and we couldn't be happier. Whether it's H&M's silken style or Zara's balloon sleeve midi, this is all we want to be wearing to weddings this summer. Long live the wrap dress.